Many of the impacts of climate change are expected to hit hardest in Canada’s coastal regions. To help plan for the future, we captured a snapshot of new developments in climate change impacts and opportunities, policy developments, and adaptation initiatives in Canada’s coastal regions. Canada has the longest coastline in the world, spanning unparalleled diversity in physical geography and ecology. 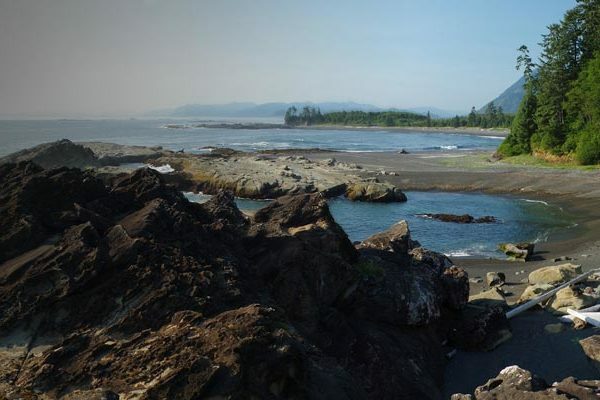 Canadians value these coasts for their beauty and biodiversity as well as for their ecological, economic, recreational, and cultural services. However, many of the biophysical and socio-economic impacts of climate change are expected to hit hardest in the coastal zone. To plan for the future of coastal climate change adaptation, coastal managers need to understand the state of the science on impacts and the status of our progress on coastal adaptation to date. To inform government programming over the next five years, the Coastal Management Working Group under Canada’s Adaptation Platform asked ESSA to conduct a comprehensive review of the state of adaptation across Canada’s three marine coasts as well as the freshwater coastline surrounding the Great Lakes and St. Lawrence River. Our team gathered information on the state of the science, policy, and initiatives through intensive literature review and interviews with climate adaptation practitioners across the country. The information gathered yielded insights into new coastal climate adaptation tools, best practices, actions, innovations, and barriers across a range of communities, governments, commercial sectors, and ecosystems. Based on the information gathered for each region, we highlight key findings and risks going forward and identify a range of potential actions to help advance coastal adaptation in Canada. This project produced a concise update on climate change impacts and opportunities, emerging climate-related policies, the status of coastal climate change adaptation in each region, and ‘snapshots’ of new adaptation initiatives, with a focus on developments occurring within the last five years. To help reach a broader audience, our team published a summary of the work in Water Canada to reach coastal managers more directly and also condensed key points from the work into an infographic that serves as a succinct visual summary of climate change impacts and adaptation measures for each coastal region.